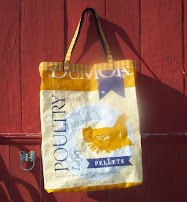 I've come to appreciate that "farm skills" are not just outdoor tasks, but can also be inside-the-home projects. Sewing, cooking, baking, canning, and raising the kids all count! I'm a bit proud to say I can muck out a stall, hay a field, and put up a fence as much as I can bake a good loaf of bread and sew pretty curtains. 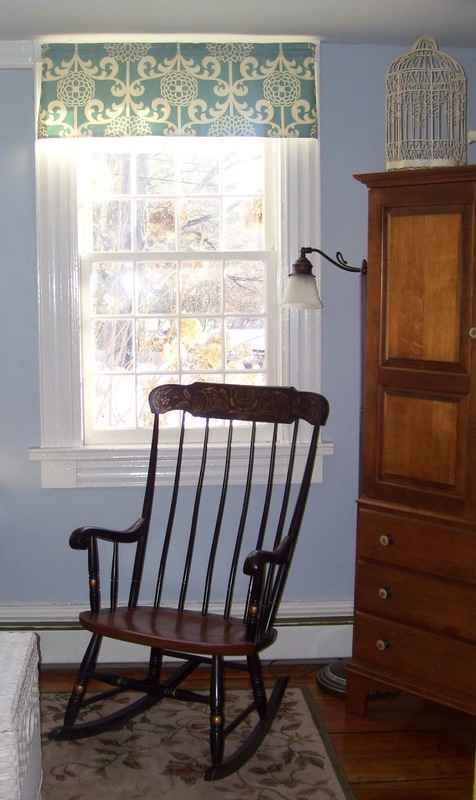 When we moved into the farmhouse, I envisioned the sitting room as a blue-toned throwback to the Federal period. The hand-carved molding from the early 1800's and the wide-plank American chestnut floor are original and the beautiful fireplace and mantel have been restored. Most of the stenciled furniture is from the historical Hitchcock factory, only a short walk down the road. When I started thinking about curtains, I had very specific requirements. I didn't want long curtains in this room since they would cover up the carved window moldings, so I decided on valences. I also needed a fabric and print that would be reminiscent of the Federal period. It had to be perfect, since I know I'll be living with these curtains for many years. And it needed to be inexpensive. If you've ever looked at good quality, lined curtains made with upholstery fabric, you know they cost a lot. With decent sewing machine skills, I decided to order the fabric and make my own. When I saw this lovely blue and white floral upholstery fabric online, I knew it was "the one". I even ordered a bit extra to make pillows. I found a thick white twill on clearance to become the lining and bought a new spool of thread. 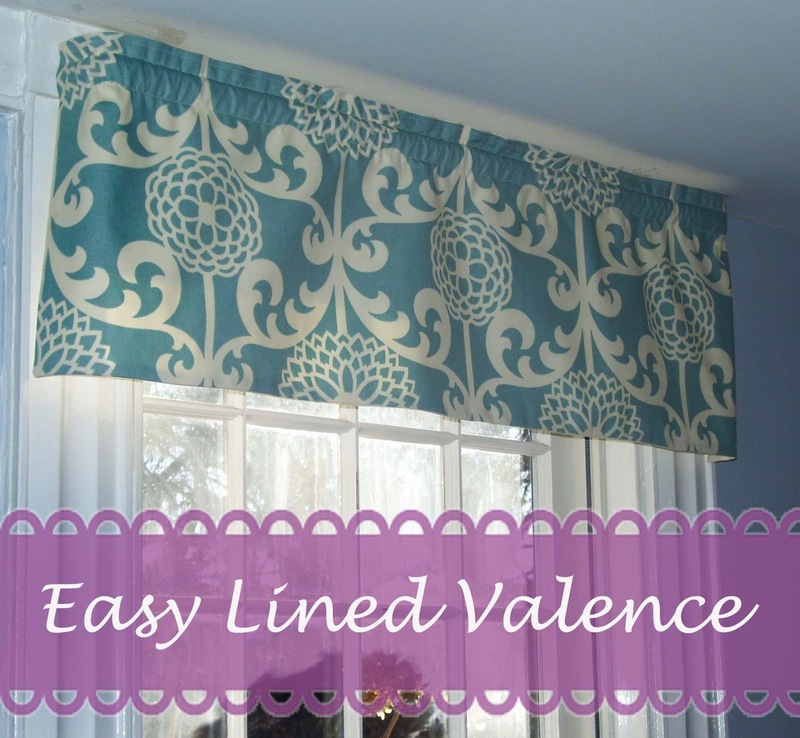 I was able to make valences for all three windows for less than $25. I came up with this really easy method for making lined curtains; just adjust the height and width to make different sizes and styles. If using washable fabrics, wash and dry before cutting to avoid shrinking later on. With pets and kids, machine washable is the only kind I would consider! 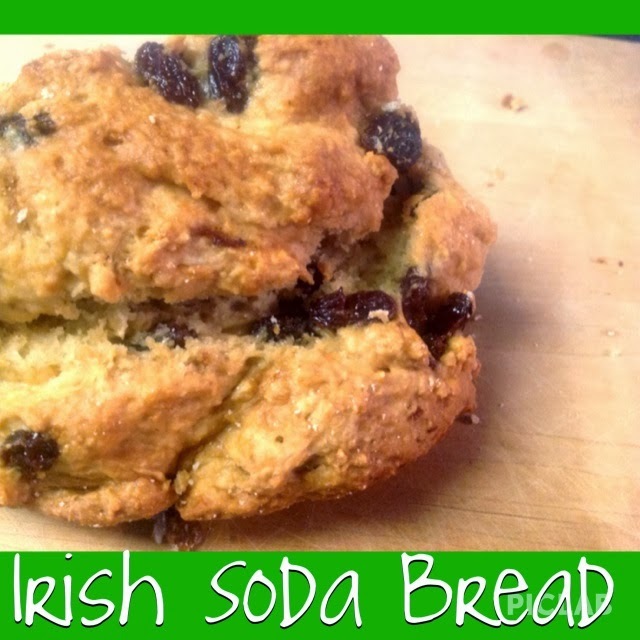 With St. Patrick's Day approaching, I decided to finally try my hand at Irish Soda Bread. I tweaked a recipe in my Farm Journal cookbook to make it sweeter and to substitute raisins for currants. It was a hit! It's great fresh out of the oven or as toast. I was curious about the origins of Irish Soda Bread and found out it's actually a pretty recent (1800's) recipe. Baking soda, in its pot ash form, had been used by Native Americans for centuries as a leavening agent in baked goods. During the 19th-century, baking soda was made commercially available in Ireland and became especially popular among the peasants and poorer classes. Irish wheat tended to be "soft", which did not work well in yeast breads. They found that combining baking soda with buttermilk could be used to leaven bread in place of yeast and actually cooked better on their open hearths. Originally, soda bread contained only flour (whole wheat flour for daily use and white flour for special occasions), buttermilk, baking soda, and salt. A cross was cut in the top of the dough to help it cook more evenly, although some believe the cross design helped to ward off evil. The dough was placed in a covered cast iron pot, called a bastible, and placed on the hot embers to cook. Today, Irish Soda Bread is usually made with eggs, sugar, and butter in addition to the traditional ingredients. Adding raisins or currants is a variation called "Spotted Dog". In a large bowl, mix together first 5 ingredients and caraway seeds. With pastry blender, cut in butter until coarse crumbs form. Stir in currants or raisins. In a small bowl, mix buttermilk and egg. Add to currant mixture and stir until moistened. Knead 12 times. Shape into a ball and place in greased 2-quart casserole dish or pie plate. With a sharp knife, cut a 4'' across, 1/2" deep cross on top. Bake at 375 degrees F for 55 minutes, or until golden brown. Remove from dish and place on cooling rack. Mix together glaze and brush over hot bread. 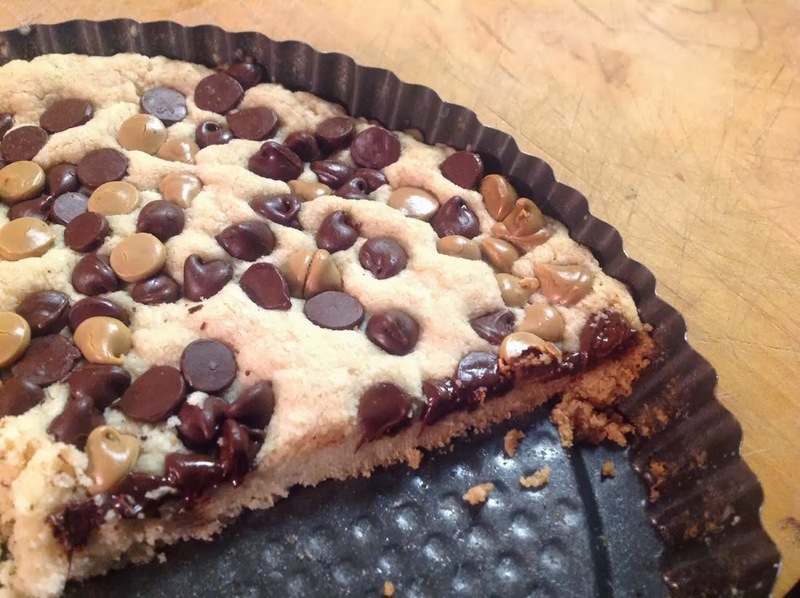 * Buttermilk or sour milk is necessary to react with the baking soda. To make buttermilk substitute: Add 1 1/3 tblsp. lemon juice or white vinegar to a bowl. Add slightly less than 1 1/3 cup milk and stir. Allow to rest for at least 15 minutes. Last week, a very blustery winter day! Here in the northeast, a few warm 50 degree days get us excited for spring. I've started seeing the first buckets being hung on sugar maples, starting to collect sap for syrup, and it makes me want to go up in our loft and search for our own buckets. I called a sheep-shearer to make an appointment to get our boys sheared in a few weeks, as I just don't feel confident enough yet to do it myself. And I started my tomato and pepper seeds under the grow lights in the cellar. 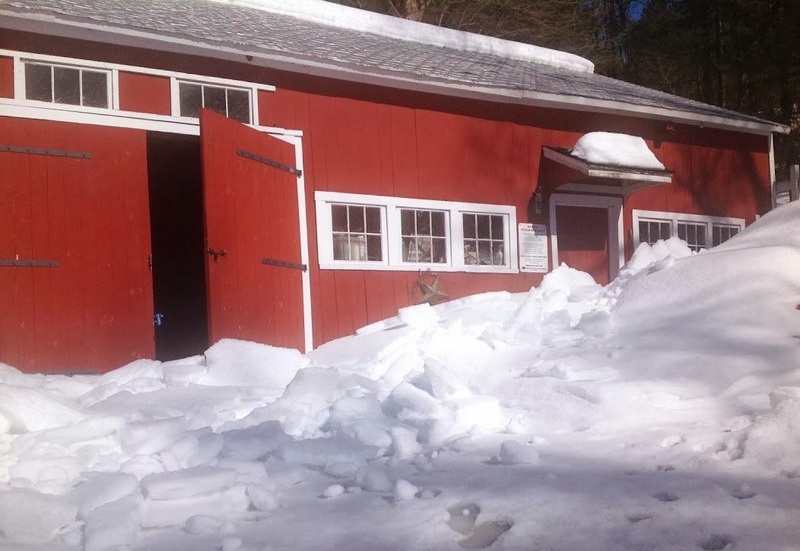 The result of giant sheets of snow slipping off the barn roof. This warmer weather is also bringing a lot of melting. Over the past two weeks we have continued to get snow and it has piled up to three feet... including on the roofs. It makes me nervous when it starts getting that deep and I start thinking about getting out the roof rake, although it's a job I truly hate. Then, yesterday, I heard a HUGE crash that shook the house. 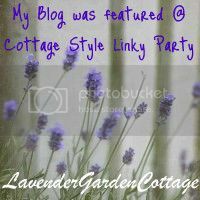 My heart skipped a beat as I rushed to the window, fearing the barn collapsed. I was so relieved to only see a giant mountain of snow in the driveway. Our big barn is old (from the 1800's) but sturdy and has been well-maintained. The aluminum (or tin?) roof is over 100 years old. Many of the homes and barns in the area have this unique type of roof. 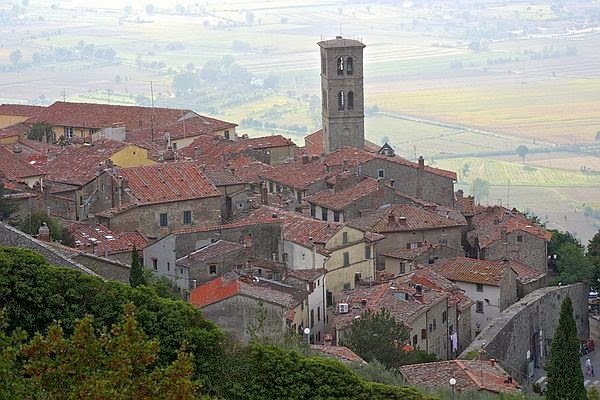 The story told by my grandpa was that a metal roof tile peddler came through this area and sold tiles to many of the locals. A metal roof will last indefinitely if maintained and periodically painted with a special paint. On warm February days, it also causes the snow build-up to slip off in a big, barn-size sheet. The crash can be alarming! And dangerous, to say the least. We avoid walking next to the barn and don't park the cars near it. 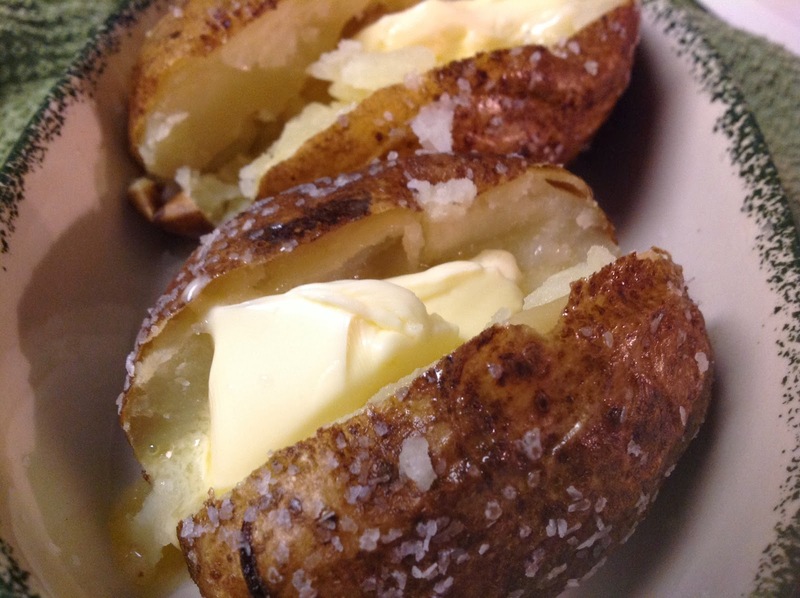 Baked potatoes are one of our favorites and are super easy. 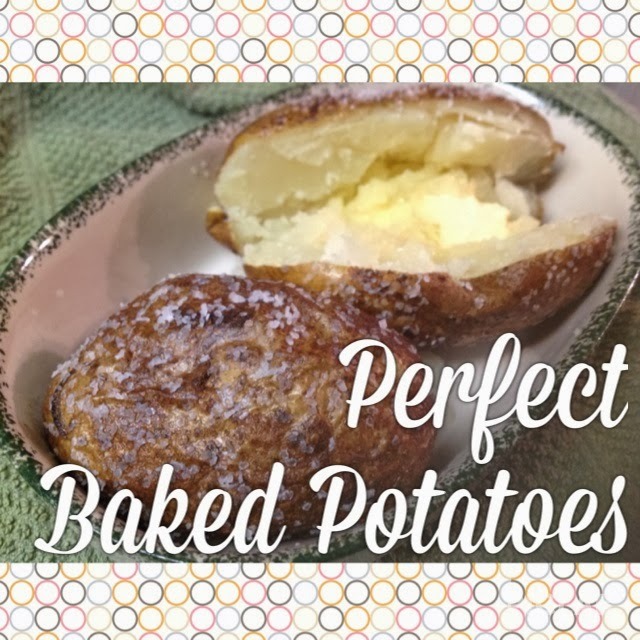 However, I've made my fair share of mushy, lumpy, and unevenly-cooked taters over the years... until I found this easy recipe! They come out fluffy and evenly cooked on the inside with a crispy, salty skin -- perfect! 2. Scrub potatoes and dry with a towel. 3. Use a cooking brush to coat potatoes lightly with oil. Lightly sprinkle coarse Kosher salt over each side. Place potatoes in a shallow baking dish, not touching each other. 4. 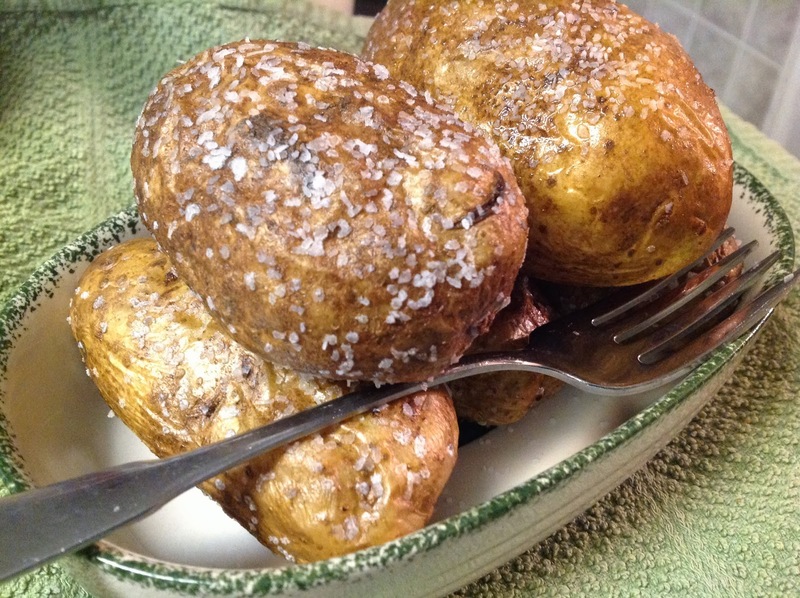 Bake medium potatoes for about one hour, large potatoes for an extra 10-15 minutes. Turn them over half way through baking. 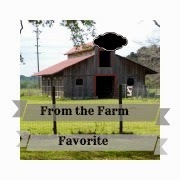 I've been working on silhouette art of my little daughters and started thinking about how to create a silhouette of a landscape... or, in particular, my farm. 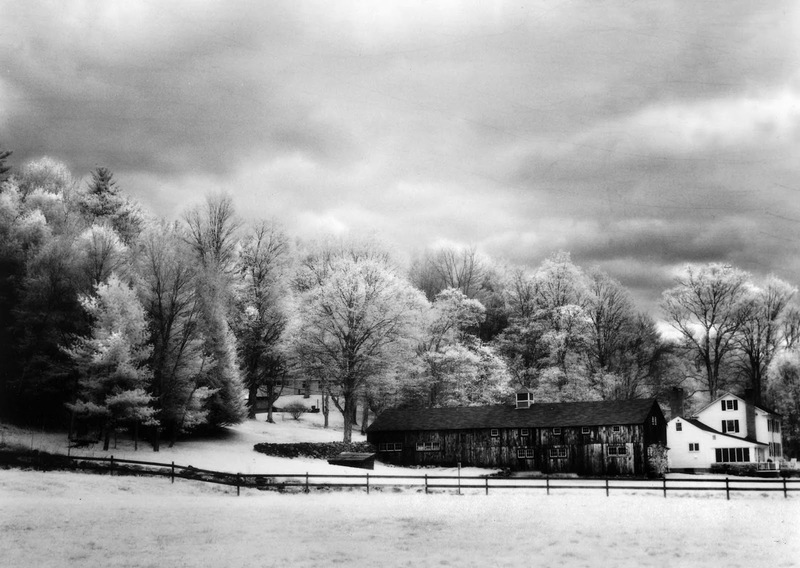 I took a photo years ago from way out at the end of the meadow, looking towards the barn and house, and it was such a lovely outline. I decided to try to turn that view into a cut-paper silhouette. 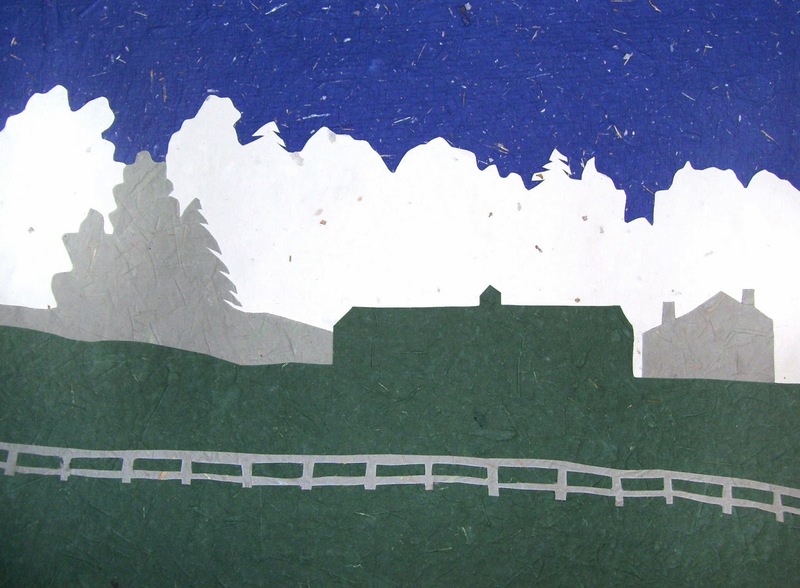 You could also use the same idea to create a silhouette of your own house or a favorite landscape. This is a good project for kids, too. I teach art and thought this would be a great assignment to help my young students understand the concepts of foreground, middle-ground, and background as well as overlapping and landscape. I hate spending money on things I can make myself. And what I hate even more is throwing things in the trash that I know cannot be recycled and will not disintegrate. Plastic nursery pots are one of those things that irk me. I try to reuse them for starting my own seeds, but they are often so flimsy that they only last a season or two. That's why I love this gift that my husband gave me for my birthday a few years ago. 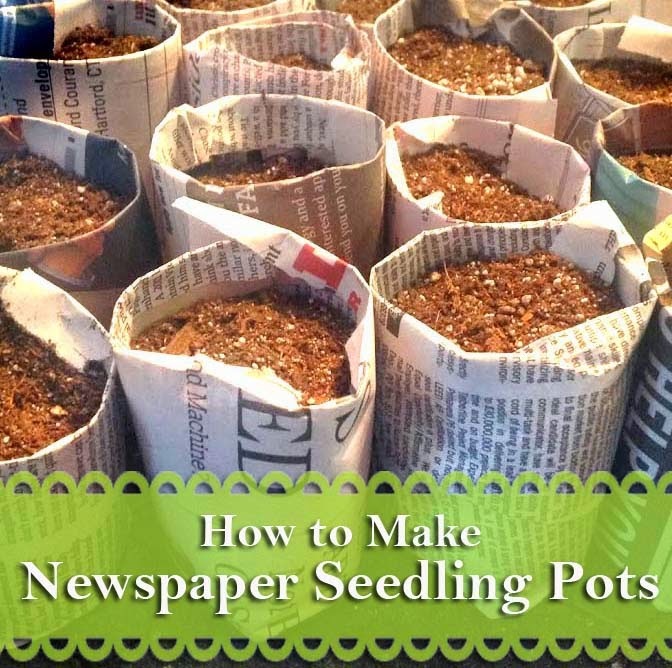 The "Pot Maker" is a wooden form that is used to make seedling pots from newspapers. 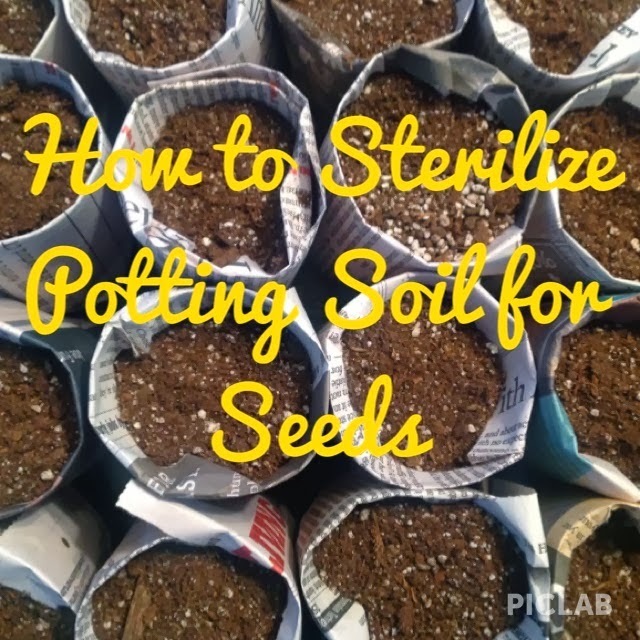 When it's time for transplanting to the garden, the entire pot can be planted and will decompose quickly. Transplant shock to young plants is minimized and there are no plastic pots left over! 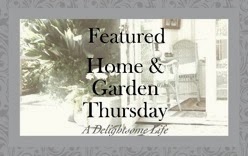 The Pot Maker can be purchased from Gardener's Supply, Burpee, Amazon, and many other gardening stores or catalogs. 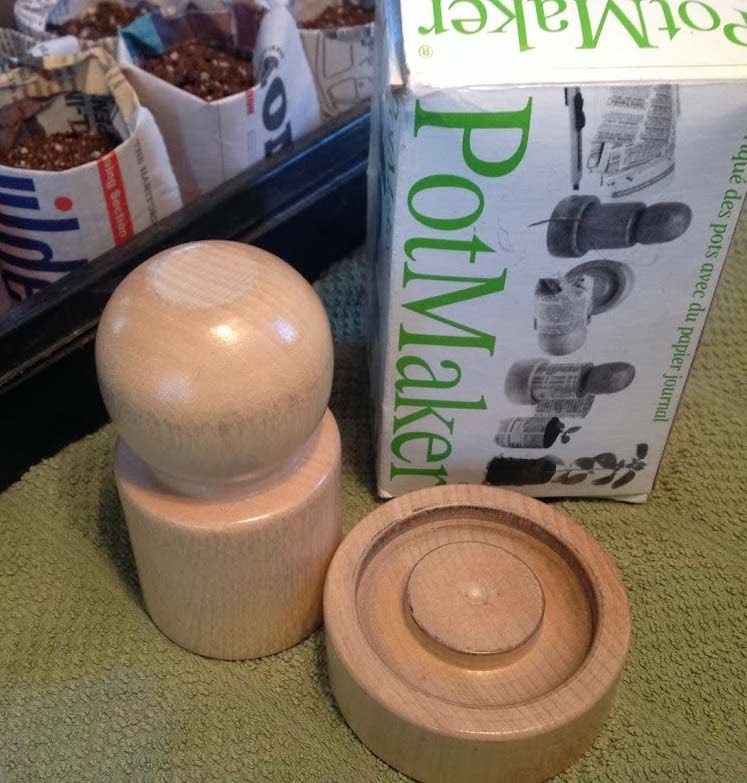 The Pot Maker is really easy to use and my 5-year-old has helped me make them. There are directions on the package, but I've come up with a few tricks to actually make them sturdier. With two small kids at home, we've been down the upset stomach route many times. Last week, the baby caught a 12-hour stomach bug and it was one long, sleepless night of constantly changing her clothes after nausea attacks and trying to comfort her. She was finally able to sleep and the sickness was out of her system by daybreak. Poor kid! 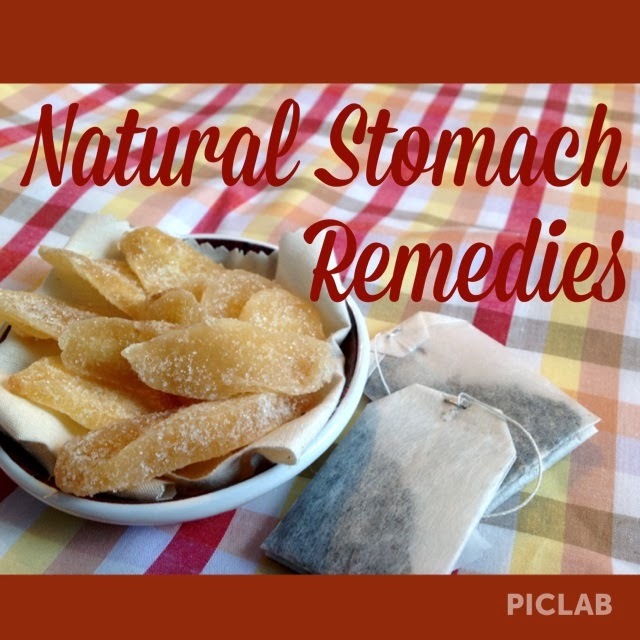 Here are some tried-and-true natural home remedies for treating a variety of stomach problems. Some are old-time remedies passed down from family members and others I've come across in my well-loved herb book. 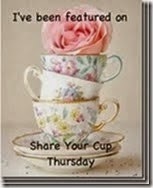 I've done additional research and all of the remedies I've listed have been shown to help different ailments. As an elementary teacher, I always reserve my February vacation as a few days to get the house organized and get those errands done that I've been putting off (or at least a fully organized and functioning home is my lofty goal!). My 5-year-old daughter and I spent yesterday on our "Total Bathroom Makeover" project with painting the walls, hanging new pictures, and setting up a better laundry system. 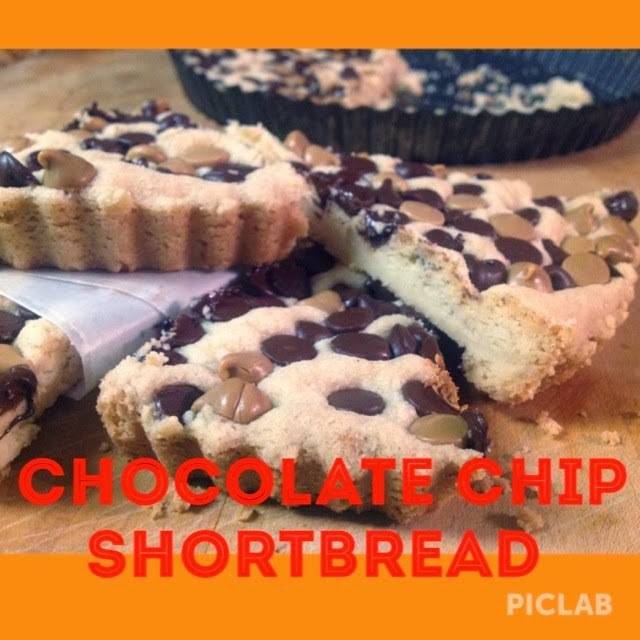 This shortbread is really quick and easy to make - 10 minutes flat for preparing and 35 minutes for baking. But it looks and tastes like it took a lot longer! Combine flour, cornstarch, sugar, and butter in a large bowl. Knead with your hand until mixture is combined well and binds together. Do you have any other tips for growing or using corn? Share your tips in a comment! 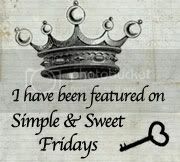 Follow by email to be updated when there are new posts... sign up in the box to the right! d Corn is a grass native to North America and was first cultivated by Native Americans. 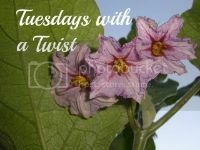 They used it as a main food source and developed very effective planting and growing methods. Over time, taller plants with bigger ears were bred. To Native Americans, corn was one of the "Three Sisters" of the garden. Corn grew tall and became a climbing support for beans, while gourds (pumpkins, squash, etc.) grew between the corn stalks, shading out weeds and conserving moisture in the soil. Often, a tall platform was built in the garden, where a member of the tribe would sit and scare away birds and other animals trying to eat seeds and crops. d For thousands of years, Native Americans grew field corn and later taught European settlers how to grow it. 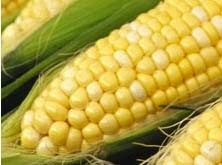 Sweet corn was first developed by Native Americans and was being grown by colonists in Pennsylvania by the mid-1700's. Seed catalogs carried white sweet corn by the 1820's. Golden Bantam was the first yellow variety, which was developed in 1902 and later led to bi-color varieties. Do you have any other tips for "corn & animals"? Share your tips in a comment! 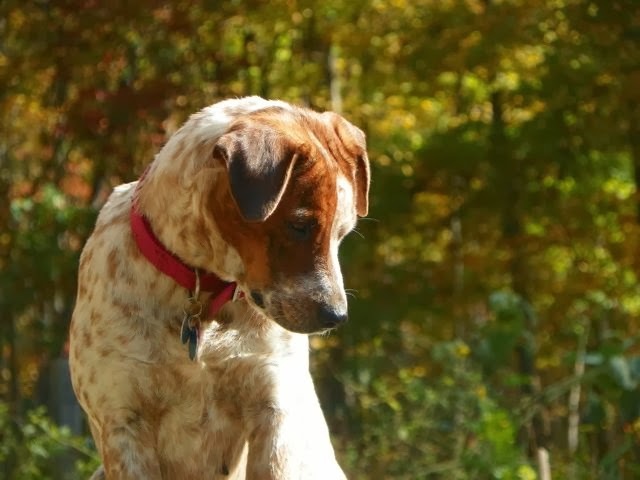 from a shelter in Alabama to Connecticut. Corn cobs can be deadly to dogs. Dogs will chew off and swallow chunks, which can easily get lodged in the digestive tract. If the cob isn't removed, the dog will die. Never give a dog cobs and make sure dogs can't get into garbage bags or compost bins to retrieve cobs. hand-made Valentine's Day card... that will grow into a garden! Do you have any other tips for buying from seed catalogs? Share your tips in a comment! Catalog shopping for seeds and plants is one of my favorite ways to pass cold, January evenings (along with a glass of wine in hand and Downton Abbey on the tube!). They have a great selection and advice on which varieties will work best in your particular garden. I go through the catalogs and circle my top choices, go back and narrow down to top picks, and then order online. Pay attention to your USDA zone, season length, and particular conditions and choose seeds carefully. Years ago, I bought watermelon seeds and nurtured them through the summer, only to realize my growing season was too short for that variety. We got a frost before we got a single melon! If starting seeds indoors, order seeds early enough. I order in early February and start seeds under the grow lights in mid-February. It's been a cold and snowy week in the northwest hills of Connecticut! Snow on Monday, 12+ inches today, and a big Nor'easter coming on Sunday night. The girls and I are home from school and JP's office closed for the day. (Although he still went in for a bit... I think he just wanted to drive the truck in a snowstorm!) 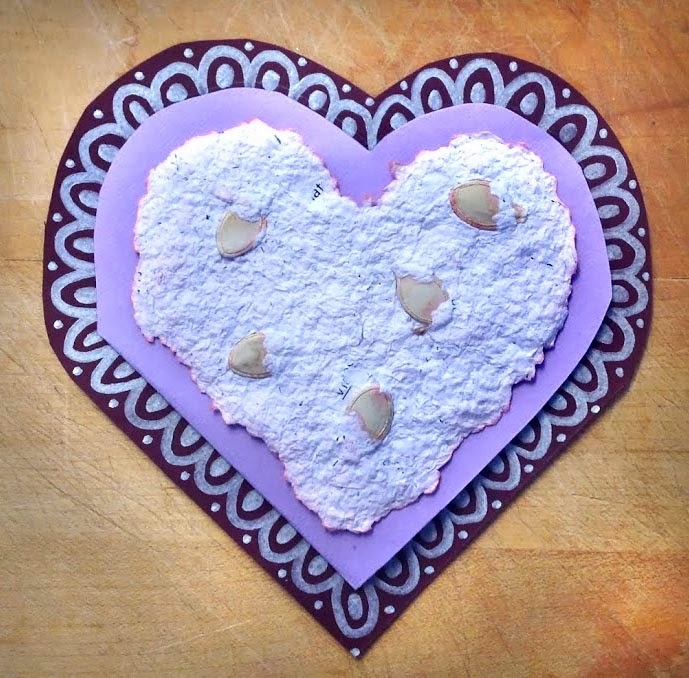 It's starting to remind me a little of a Little House in the Big Woods day (in the Little House on the Prairie series, if you're not familiar)... just made some French bread and the girls and I are getting going on handmade Valentine's cards. I've been sick with pneumonia/bronchitis for three weeks now and it feels so good to finally feel good and have some energy again! The door to the run has been open... but no footprints in the snow! 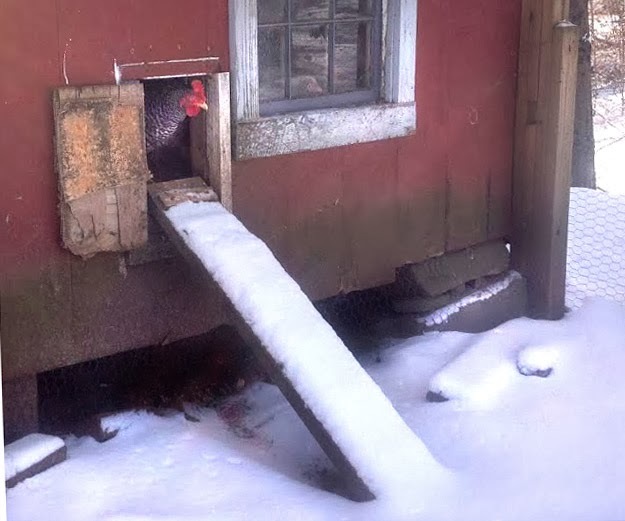 My Plymouth Barred Rock hen has been the only one curious enough to stick her head outside, but then she high-tailed it back inside. Do you have any other tips for using or protecting bark? Share your tips in a comment! d Bark is often an underutilized landscape feature. I pass a house on my way to work that has several small, oblong-shaped gardens, each with a tree planted in the middle. The trees are gorgeous, even in winter, because of their lovely barks. 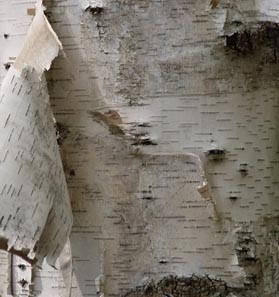 Some popular varieties are white paper birches, dogwoods, forsythia, and golden willows. My favorite place to buy trees is the National Arbor Day Foundation website. I have bought a variety of trees from them for over a decade. Their prices are the best I've seen and all my trees have done well. I get the membership in order to get great member prices and the free tree specials. d Lawnmowers and weed-whackers can damage bark, allowing an entrance for pests and disease. Protect bark with a plastic trunk guard or a circular mulch mat that fits around the base. I like the look of plants around trees, so I've circled the trees in my lawn with shade-loving plants, like hostas, pachysandra, periwinkle, and day lilies. I don't have to worry about trimming the grass too close to the trunk and it makes mowing under branches easier. d If rabbits and mice are eating the bark off trees, wrap the bottom with a fine metal mesh or tree-wrap. 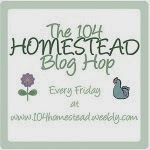 Welcome to the first post in my new series, "Garden Tips A to Z"! Coming from a long line of old-fashioned farmers from here in Connecticut (on my Dad's side) and backyard gardeners from mountainous upstate New York (on my Mom's side), I've accumulated a wealth of great tips which are effective, easy, and often quite thrifty. Do you have any other tips for using "Ashes"? Share your tips in a comment! d Wood ashes can be saved from fireplaces, wood-burning stoves, and camp fires. Avoid BBQ briquette ash and ash from treated wood, since it contains additional chemicals. After emptying a fireplace or wood stove, store ashes in a closed, metal garbage can away from buildings. Embers can continue to burn for up to a week (even in cold temperatures), can re-light, and catch fire to nearby buildings. I've unfortunately heard of house-fires starting like this several times. We keep our can in the driveway far away from buildings and trees. d Ashes are a rich and natural source of potash, a vital part of healthy garden soil. Potash contains potassium, which plants constantly use, as well as calcium, magnesium, and phosphorus. When plants are harvested, the potassium is removed and must be replaced in the soil. Potassium-depleted soil leads to weak plants which have low yields, cannot absorb water effectively, and are more susceptible to disease and pests. You can simply spread ashes in the garden before cultivating and work them in as you plant. To use as a fertilizer, spread 5-10 pounds of ash per 100 square feet.